A brand new recipe business has married the best ingredients of traditional recipe books with smart phone technology to produce a service that is causing a stir in the kitchen. Cookery website and app “ckbk” gives cooks access to hundreds of classic cookbooks from the very English Mrs Beaton to Italian guru Marcella Hazan at the touch of a screen. Whether you have an appetite for Mediterranean, bread, French, desserts, fish, healthy options or Great British eats, or have your heart set on a dish by a specific chef, you’ll find your ideal recipe is one of the 100,000 that is available instantly. 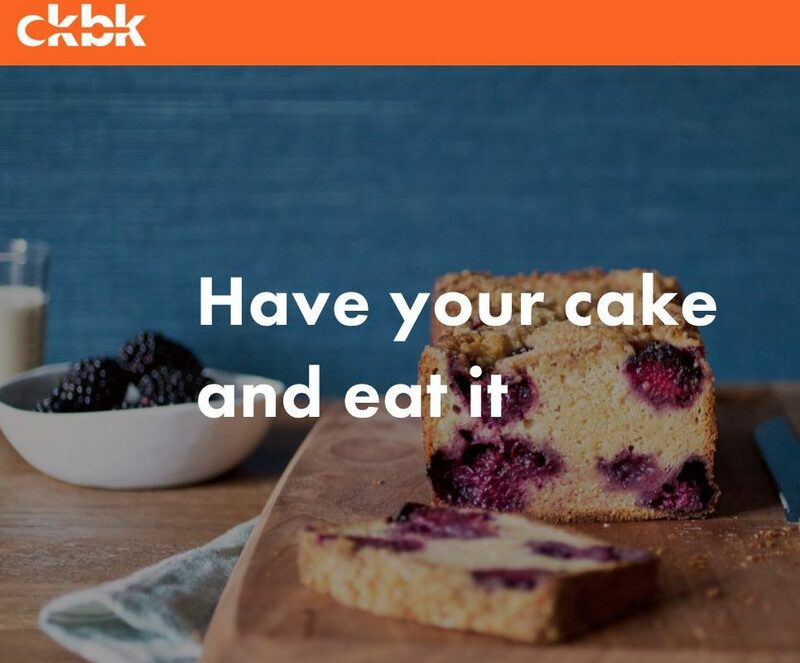 ckbk has recently been launched and is already being describe as ‘Spotify for cookbooks’. ckbk’s London-based founders Matt Cockerill, is n’t going to argue. When planning ckbk, Cockerill and his co-founders Nadia Arumugam and Jon Croft – a cookbook publisher whose bestselling authors have included Keith Floyd and Tom Kerridge – recognised that there were pivotal authors who should be at the heart of the service. As a starting point for ckbk, they quizzed hundreds of chefs and authors about their favourite cookbooks. The top 1000 cookbooks identified by this process then guided the selection of books for inclusion in ckbk. On the website, the works of authors from previous eras such as Eliza Acton, Mrs Beeton and Alexis Soyer can be explored via the same modern web interface as more recent classics from Paula Wolfert and Marcella Hazan, and contemporary works from authors including David Tanis and Naomi Duguid. Hundreds of the titles included have never previously been available in digital form. But what all of ckbk’s recipes have in common is that they are tried, tested and edited; taken from leading cookbooks created by professional food writers and chefs; offering you all the expertise of culinary library without taking up the shelf space.